In the not so distant future, we will have machines capable not only of storing data, but of thinking, feeling, and being as intelligent as the human being. Following the new trends in the information technology market, such as tracking digital transformation, is a key factor for organizations seeking to remain competitive with the great competition in the market. With increasingly advanced and sophisticated resources, technological innovations have computer machines that promise to facilitate the routine of companies, where intelligent machines can perform their activities in an optimized way. We are talking about the trend of the future, a revolutionary technology – Artificial Intelligence (AI). Artificial Intelligence is already part of our everyday life, but many times we do not even notice it. Facial recognition sensors in mobile devices and virtual assistants are part of this technological innovation and make our daily life easier by providing solid information quickly and functionally. AI is not something new in the market. But in the old days, it was not as strong, nor as innovative as those we find today with its advances. Artificial Intelligence (AI) is part of computer science studies. It is a cognitive technology that makes computers think or is as intelligent as humans. In order to achieve this result, computational machines go through processes of information and cognitions, trying to reproduce the functioning of human neurons until they achieve learning, where they are able to think and feel like man. The main purpose of using artificial intelligence is to create devices that are able to decide, reason and solve problems without the need for any human intervention. In addition, the great differential of artificial intelligence is that, these computers are able to process a large amount of data (Big Data) and analyze large-scale data independently since their data is run in cloud computing. Unlike us humans, we have our limitations. Why do I need to use Artificial Intelligence in my company? With the Age of Artificial Intelligence, all executives need to be prepared to face the great challenges that will emerge in the global marketplace. Companies that do not adapt to this new context run the risk of losing competitive potential, as well as being at a disadvantage to face their large number of competitors in the market. So using Artificial Intelligence is way beyond technology. It is linked to planning, competition analysis, market intelligence and also innovations within the organization. It is no secret that AI can bring innumerable benefits to organizations because of their great possibilities, such as increased productivity and help in decision making. So if you are looking to optimize features and lower costs, artificial intelligence is the right choice for you! Artificial intelligence is based on the ability of software capable of performing tasks that can replace the human being. Thus, all repetitive processes (e.g., telemarketing, bank or supermarket, collector) or tasks that take a long time to complete are automated with the use of cognitive technology, with a reading and memory capacity far superior to that of man and high storage capacity using cloud computing. This is because this technology has been gaining a lot of space in companies due to the increased capacity of the machines to perform all these operations in an optimized way and at a lower cost than it would be when performed by the human workforce. What’s more? The use of intelligent mechanisms still brings agility in decision-making to those who need quick fixes, turning what took days or weeks for a man to milliseconds into large volumes of information. See now, in a practical way, how Artificial Intelligence systems are applied in large companies. Siri from Apple: Siri is a voice-activated virtual assistant application for iOS, exclusive to Apple’s technological applications. This software, a great case of artificial intelligence, has become a success by helping its users to perform various tasks only by voice command. The list of commands is extensive, one of them being to ask to open applications, make adjustments to the cell phone, searches the internet, add notes or alarms, among many other things. And Siri responds almost humanly. 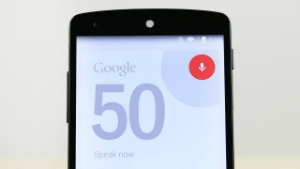 Google Now from Google: Google Now is a virtual assistant created by Google Company, available for Android and iOS. 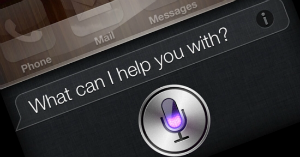 The application can be triggered by voice command and helps organize the routine of users and increase productivity. In addition, it has functions that show news, weather forecasting, traffic according to the route of each user. What are the real benefits for companies that use Artificial Intelligence? Many organizations believe that AI is still very far from its reach, but it is not so. Today we find great and small innovative companies already bet on artificial intelligence to improve their processes and get great results as a return. Artificial Intelligence seeks to reduce operating costs efficiently and improve the user experience, such as service issues, for example. We can cite the example of companies that use robots for the customer service channels, where these computers are able to take all doubts of the client in an agile way. And all the customer is looking for is quick fixes, isn’t it? The forms of use of Artificial Intelligence can be in several formats in the business scope and these formats are divided to meet diverse organizational needs as in the sales, customer service, marketing, medicine, among others. Cloud Computing, Internet Of Things, Mobile Technologies And Artificial Intelligence Are The Technologies That Will Have The Greatest Impact By The Year 2020. And while artificial intelligence is not yet a reality for everyone, it is still a big trend for the industrial future. With all the benefits that AI provides, according to data from some experts, it is estimated that 62% of organizations in 2018 will already be using AI in their business in some way. With it, we can achieve the practicality and convenience that both we look for in our routine, which makes the use of this technology something indispensable in our day to day life. Are you already thinking about implanting Artificial Intelligence in your business? Tell us about yourself!